Thank you for your patronage of the opening for 30 years. 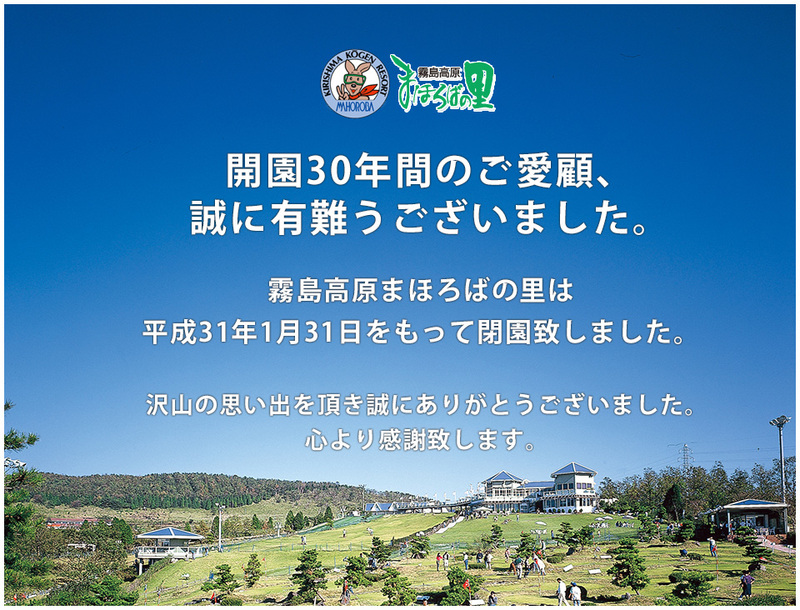 The village of Kirishima Takahara Mahoroba Closed on January 31, Heisei 31. Thank you very much for having lots of memories.